Emperor Cruise Halong bay is praised for its efficiency applied to all facets of the cruise, bringing guests a feeling of a real old Vietnam. The cruise is equipped with 8 spacious luxurious suite cabins, named after 8 villas of Bao Dai from north to south of Vietnam (4 on the main deck and 4 on the second deck at the size of 38 – 72 square meter). All rooms have full ocean views and large private balconies for the privacy enjoyment of the magnificent natural Wonder of Bai Tu Long Bay inside and outside. Moreover, all these rooms are decorated in an old royal style with valuable pictures of King Bao Dai and his wife – Queen Nam Phuong during important incidents, which is absolutely inspirational for ones who are interested in Vietnamese histories and cultures. Each room is an amusing story of the King, the Queen and Vietnam at that time. Besides the 8 suite rooms, the ship meets other needs of passengers with a spacious dining room, modern gym, spa and sauna, gathering sofa areas, children’s play ground, Hanoi bar (where the atmosphere rises you up and gets you relaxed with live music, historical or modern movies along with fine wines and champagnes of all kinds for relaxation and hanging out) and sundeck for photo shots and Vovinam class. The Emperor cruise is seen as a wonderful boat not only because of its facets and facilities, but also the cultural and historical values that it introduces to worldwide travellers. Spreading over 4 levels, on every corner of it, we can see Pham Luc’s art pieces (well known as Vietnam’s Picaso) describing Vietnamese traditions, cultures, natural beauty or even Vietnam War. Each piece is a message and has its own meaning. By an effort to make these values known to as many guests as possible, the cruise provides an art tour to discover and comprehend all paintings on board. The butler will be your private guide then, take you around and introduce you about the origins and meanings of paintings one by one. 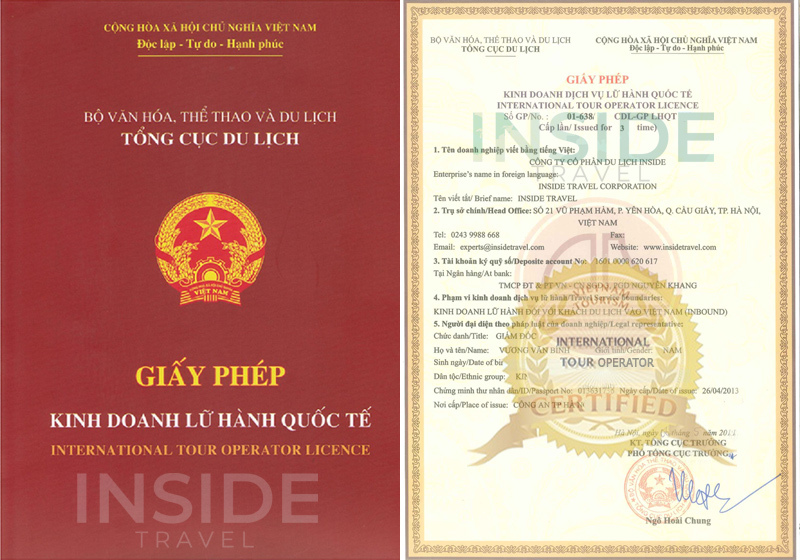 Joining cruise now does not mean relaxing and exploring the bay only but also a chance to broaden your knowledge and understanding of Vietnam. Apart from its unique design and its intangible values, joining the cruise, guests are impressed by the ship staff’s friendliness and professionalism. After warmly greeted and introduced to butlers, passengers are now having an assistant and guide for the whole trip. Each room is attached with a butler, who is accompanying from the very beginning to the end and taking care of all your requests, even tiny ones. They are no one less than a personal assistant and guide who are always there to give you good advice, remind you of the schedule or answer all your questions you come up with. Accompanying with you 24/24 hours during your cruise time, guests will be feeling like they are personal helpers, professional guides or cuisine experts. With all its luxurious things that it offers passengers, Emperor Cruise gives all travellers a great impression on its food and cuisine. The food on board is a mixture of Asian and Western food set up with Set Menu, A La Carte or buffet. A special list of dishes for vegetarians is also available, promising to be able to serve the most difficult guests on board and spoiling all easy going ones. Moreover, one of the things that makes the cruise highlighted compared with other cruises in Halong Bay is that all beverages included and the cruise has fine wines and champagnes available for you all. Therefore, all travellers need to do is fully and free worry enjoying all moments on board. Inspire of being a new one, Emperor Cruise Halong bay is making a huge effort to deliver travelers excellent services and authentic, unique, intimate, memorable experiences that will last many years to come. If you can afford it, Emperor Cruise Halong is the one you should never miss out for the most amazing Halong Bay.